Let's Make a Deal in Bozeman! 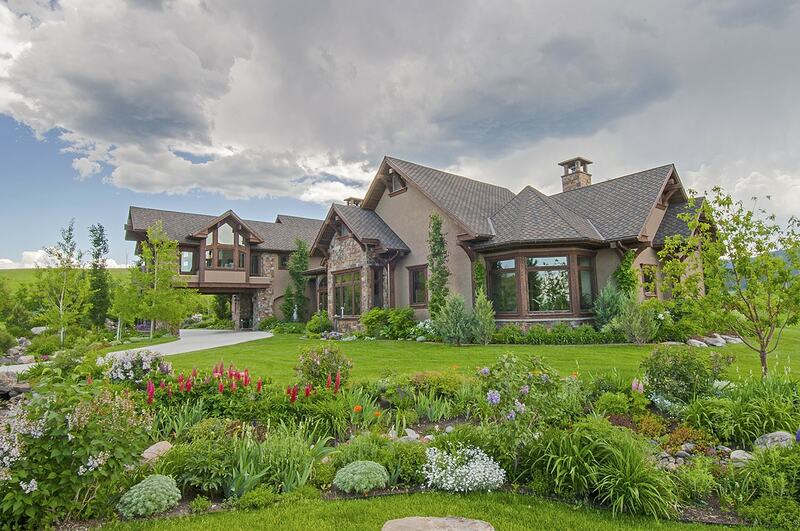 Home » Bozeman Montana Real Estate Blog » Featured » Let’s Make a Deal! In today’s changing real estate market, deal making is tricky. The downturn of the past years has leveled off, and prices are poised to begin a real recovery. This transition period can easily leave a wide gap between sellers’ and buyers’ expectations. The question becomes: Do you want to make a deal, or are you looking for a steal? Real estate prices are driven by many factors. “Location, location, location!” used to be the clichéd adage. However, since 2007, when the real estate bubble burst and prices pancaked, the focus turned to “Price, price, price!” and “Deals, deals, deals!” The downturn resulted in foreclosures, short sales, and sellers capitulating and letting their properties go for pennies on the dollar compared to pre-2007 pricing. The real estate market is recovering. According to a recent article in The New York Times and a study just published by the National Association of Realtors [read article], August 2013 has shown a 1.7% increase in closed home transactions, which is a 6 ½ year high. Real estate, like many forces on this planet, is cyclical, and unless an area is blighted, under war or siege, experiencing natural disasters, or living through unattractive political and economic regulations, real estate tends to cycle up after each downturn, steadily gaining higher levels. This is especially true in desirable geographic locations, where there is, already, a limited supply of luxury real estate. There are many places in the United States where the “great deals” are a thing of the past, snapped up by savvy buyers with cash, leaving sellers with a sense of carnage. Market conditions vary according to location. Here, in Bozeman, Montana, we are experiencing a number of potential buyers still living in the very recent past, thinking they should be able to purchase at discounted prices, and displeased when the sellers hold firm. They point to sales that closed last year, or the year before, and think they should still be able to purchase a home well below replacement cost. Sellers, on the other hand, who have had their homes on the market these past years, have lowered their asking prices to 30% or more below replacement cost. Those just entering the market, if well advised by their agent, are pricing to the existing market, with the knowledge that the past years have cleaned up the luxury home inventory. The market is leveling and preparing for an upwards climb, with 5.48 million homes sales so far in 2013, which is the highest since number since 2007. Buyers and sellers desiring a closed transaction need to acquaint themselves with today’s market. High-end real estate buyers frequently say, “I don’t want to over pay. What’s the right price?” Meanwhile, sellers want to know, “How much will they pay?” When you are purchasing or selling a luxury home, many factors come into play, and the “right” price is often times a guessing game. However, there are ways to be more educated and intuitive as to the present value of a property and how to negotiate pricing to bring an offer to a closed transaction. Great agents work hard to bring a seller and buyer together, beginning with the ability to assess the market and each party’s motivation and ability to make and close the deal. We live in a market driven country. We talk about a Global Market, but real estate is local, right down to your exact address. One side of a street may be more desirable than another. How close you are to key attractions (such as a town or recreational area) is another example. Within any market area, the key factors influencing pricing are: location, land, water, quality of design/materials/build, style, views, privacy, current pricing on comparable properties and prices of closed transactions for the past two years, and the existing inventory within that particular market. Replacement cost should definitely be considered. You also need to weigh whether the amenities and unique qualities that make a certain property attractive can be duplicated. The “Uniqueness Factor” is difficult to price, and it may be the single most important factor in the sales price. Supply and demand are crucial elements, as are intangibles that might be emotional driven, such as property belonging to a celebrity or evoking a childhood memory in a potential buyer. Choosing the right REALTOR® is your first step. Buyers and sellers need an agent who is current with inventory, sales, construction costs, drawing comps and data, and availability of resources. The agent must have your respect, as you need to listen to their advice and trust that they will be competent, brilliant, and savvy in representing you. You are, after all, trying to make a deal, and your agent is your negotiator. A number of deals never come to fruition due to either side trying to make too good a deal: A seller prices their property too high for the market, a buyer offers a low-ball offer to a seller with little motivation to sell other than receiving what they consider a fair price. Both parties have to come together in order for a property to “close.” One side may come out feeling they have “won” but if both sides aren’t willing to enter into a dialog through their agents, the deal is doomed. One effect of the market recovery is a seller’s response to receiving a low-ball offer. Only a year ago, most sellers were delighted to receive any offer. They might dismiss it immediately, but they appreciated receiving an offer. Today, the mood is different. If a seller’s property has been priced to sell by their agent for the existing market, a seller today will not favorably respond to an offer significantly less than their asking price. In many cases, they will not counter, or their counter will be much closer to their asking price than it would have been if the offer had been higher to begin with. It is counterproductive to low-ball today’s sellers, whose homes are properly priced. If you are a serious buyer who wants a property, rather than an investor just seeking a “deal,” it is far better in this market to begin by offering close to what you are actually willing pay. Your agent can then present the offer and describe how the offer is based on comps, perceived value, and that the offer is fair and market based. It is also wise in this market to price your home to sell within the true market range. Buyers today are informed. They shop the internet because of convenience and instant availability of the data they so rightly seek. They sense when a property is overpriced and they tell their agent they don’t want to even view the home. Other agents use over priced homes as a means of showcasing how reasonably priced their own listings are. Not knowing the market easily backfires in today’s world, making it impossible to make a deal. The market is changing, just as seasons change and crops fluctuate. Before you enter into a contract to either buy or sell real estate take the time to discuss the market with your REALTOR® and know what data they are using to arrive at their pricing. Ask yourself if it is relevant to today’s market. Pricing is an art form, not a science, based on many fluctuating factors. Comments Off on Let’s Make a Deal!